Vijender Singh, the country's most celebrated boxer, had bid adieu to his amateur career by turning professional, ruling himself out of next year's Olympics. Drawing flak from some quarters for turning professional, Olympic bronze-medallist boxer Vijender Singh met Haryana Chief Minister Manohar Lal Khattar here on Thursday. However, there was no official word on what transpired in the meeting which lasted for about 30 minutes at the CM's official residence here. However, it is understood that the CM had asked the boxer to follow the rules for turning professional from amateur. Vijender, the country's most celebrated boxer, had bid adieu to his amateur career by turning professional, ruling himself out of next year's Olympics. The first Indian boxer to win an Olympic medal -- the 29-year-old signed a multi-year agreement with Queensberry Promotions through IOS Sports and Entertainment. 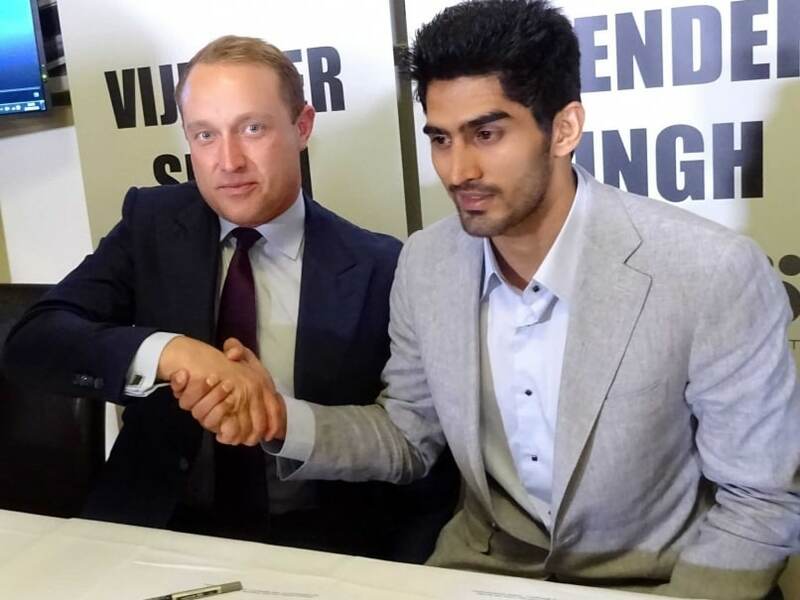 However, Vijender was currently on probation and had not yet completed his training.